Enter your character to be part of N60Sean’s Heroes vs Villains season 9! Season 9 of N60Sean‘s YouTuber wrestling series Heroes vs Villains is under way and it’s now time for you to get involved! If you have uploaded your character to the WWE 2K18 Community Creations with the hashtag #N60Sean then enter below and be sure to tick the Community Creations box. This allows you to be part of our special selection gameplay videos like the one below! Phoenix will be useful to the heros. 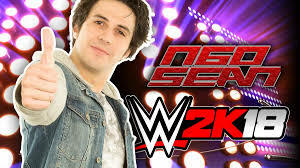 i think you are a awesome person i subsribed you sense the begining every time im bored i watch you videos and i love it you got me into wwe thank you!